SABOTEUR AWARDS – HELP US GET SHORTLISTED AGAIN! 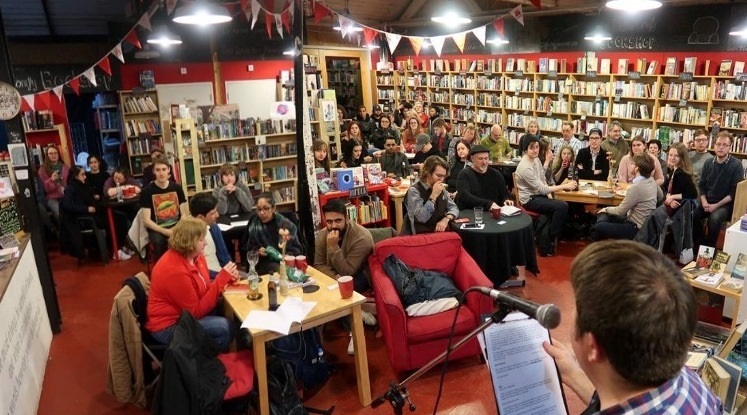 The Saboteur Awards spotlight a diverse range of literary publications, events and writers on the UK indie literature scene. As you remember, we were chuffed when our monthly poetry event in Coventry, Fire & Dust, was shortlisted for Best Spoken Word Night (2018). This year, what we’d really love is for Here Comes Everyone to be put on the map by being shortlisted for – or, even better, winning! – Best Magazine. To do this, we need your help. It’s time to vote again, for your 2019 favourites. 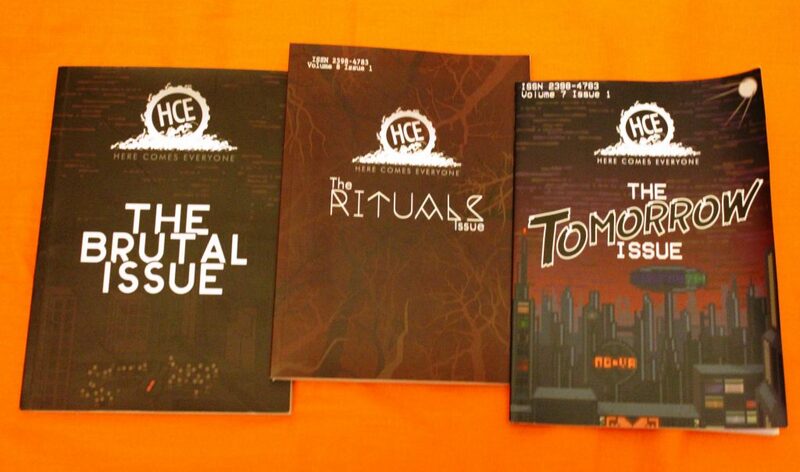 The deadline is approaching (5th April), and we’d appreciate some nominations from our HCE readers and contributors. The public votes for the winners of these awards, so, if you want to support the work of Here Comes Everyone, please would you take a minute to vote for us? A vote for us is a vote for The Tomorrow Issue and The Rituals Issue. It’s a vote for all the excellent stories, art, poetry and articles we’ve featured on the page and website; for the hundreds and hundreds of people who found the courage to submit their creations to us; for all the work our team puts in during the reading and response process, to ensure everyone receives some meaningful feedback. If you think we deserve some recognition, you just need to visit https://form.jotformeu.com/90645792222358 and complete the form. There’s been so much great stuff going on over the past year, you’ll likely have candidates to vote for across the various categories (you need to vote in a minimum of three). PLEASE GO VOTE – even if it’s not for us! Filling the form in only takes a minute, and offers a nice way to show support for your indie arts communities.